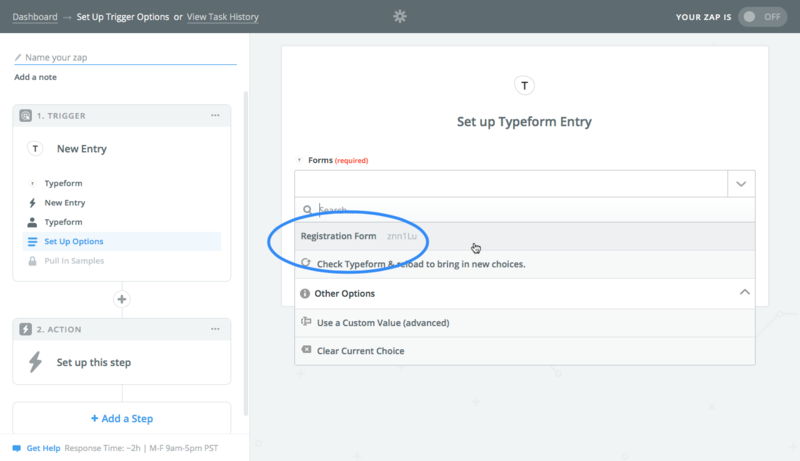 Typeform forms can be integrated with your TeamWave account on Zapier. 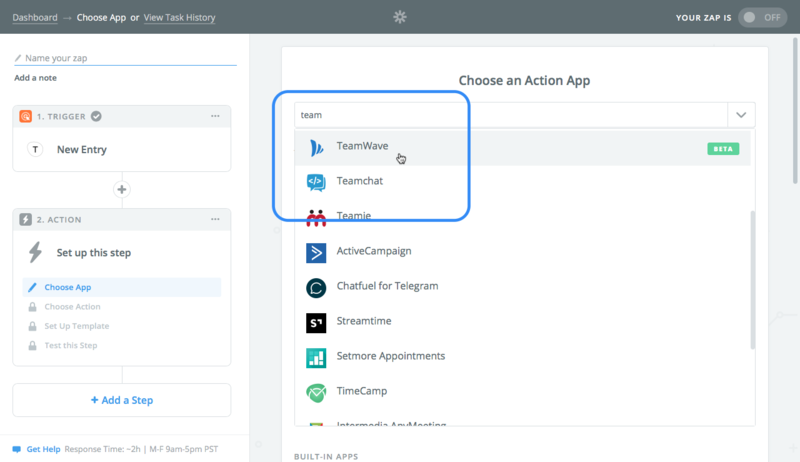 This integration lets you automate the process of Deal, Contact and Organisation creation. 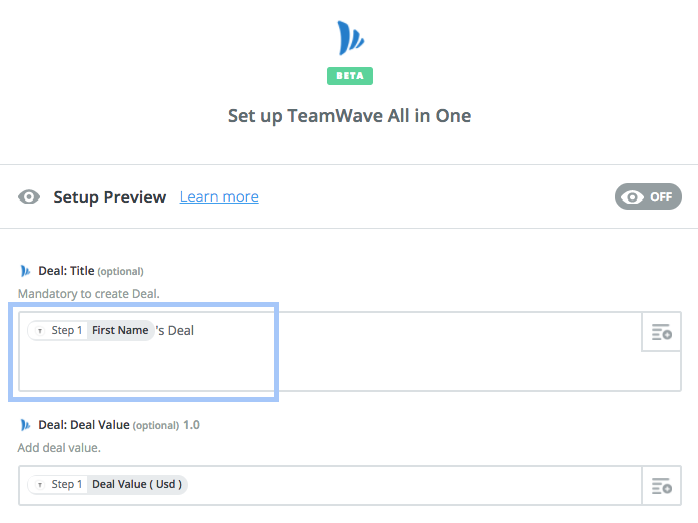 So, whenever a form is submitted on Typeform, Zapier will create a Deal/Contact/Organisation in TeamWave. 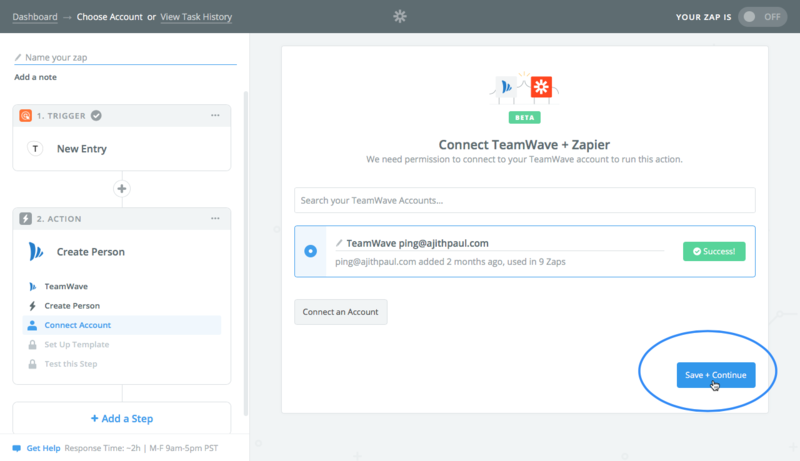 To connect TeamWave with your Typeform form, you need to create a Zap for TeamWave and Typeform in your Zapier account. 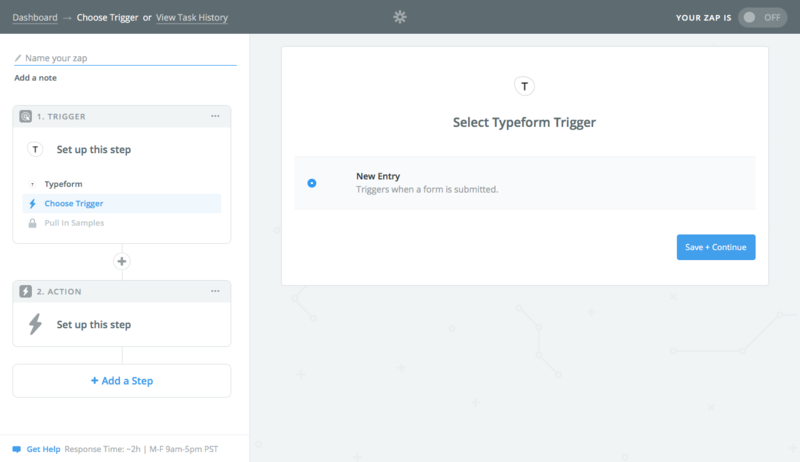 For example, A Zap could be created between a Trigger app (TypeForm, Google Form etc) and an Action app (TeamWave in this case). 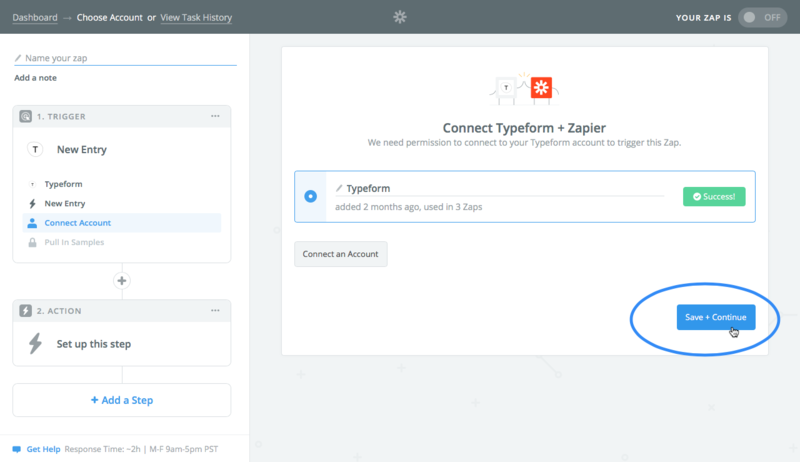 Click on connect your account, then paste your Typeform API Key to connect your Typeform account to Zapier. 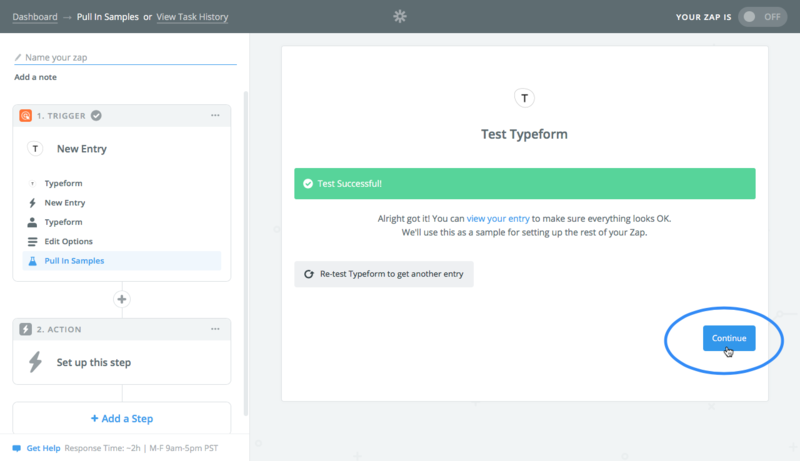 Select your Typeform account and click on Test. Then click on Save + Continue. 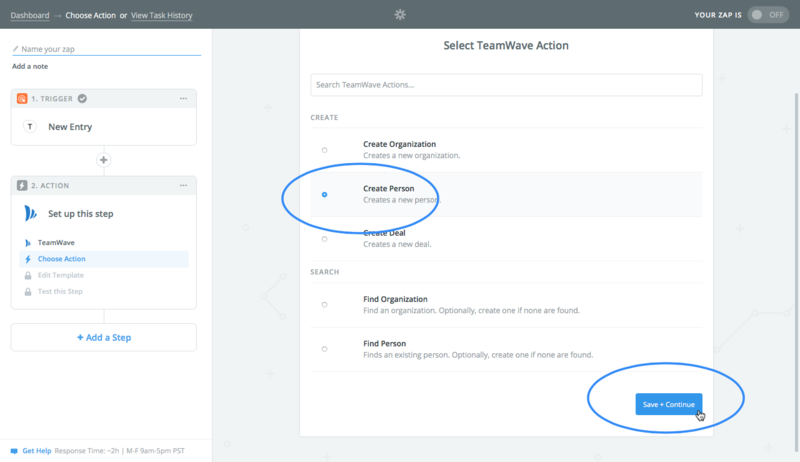 Search for TeamWave and select TeamWave's app. 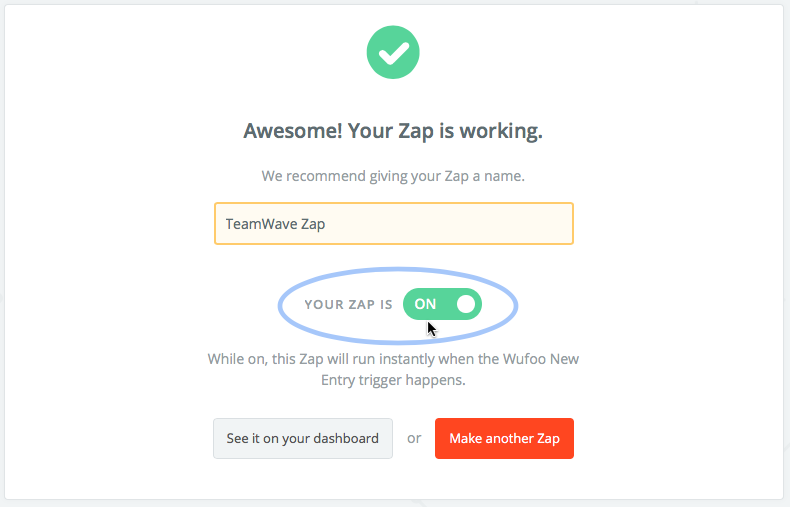 This is an important step to make sure your zap works in the way you intend. 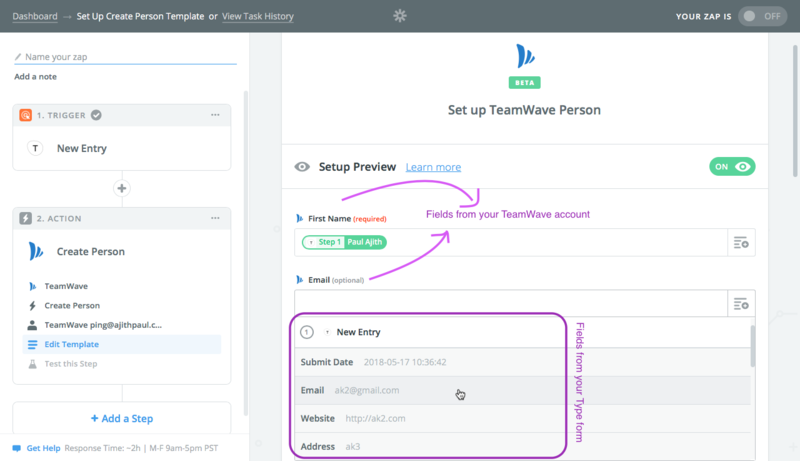 There are many fields from TeamWave (here, action) in this template, some of which are optional and some are required. 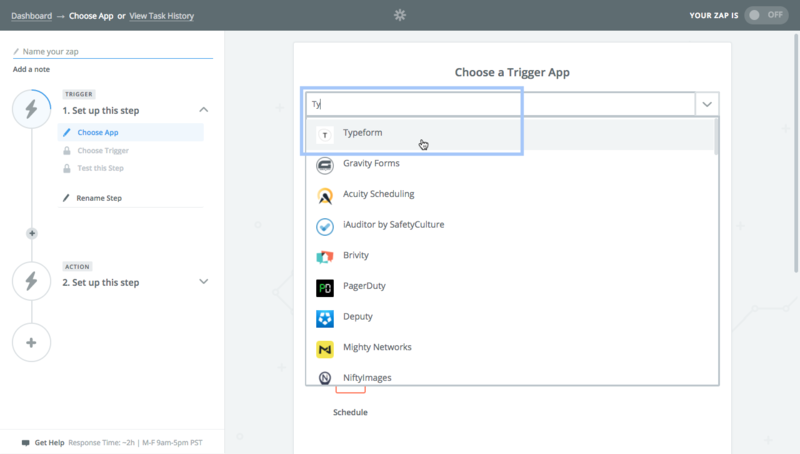 Use the + option on the right of each action field, to see the fields from your TypeForm (here, trigger) to populate your TeamWave fields. Next to the name of the field is a sample value that helps to clarify what info you can expect to be in that field. 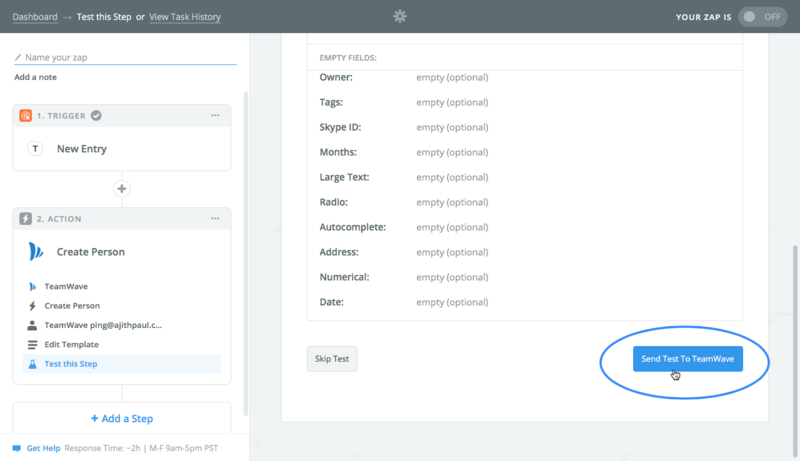 In this step, the sample from testing the trigger will be used, and you can see exactly what values will be used in each field for your action. 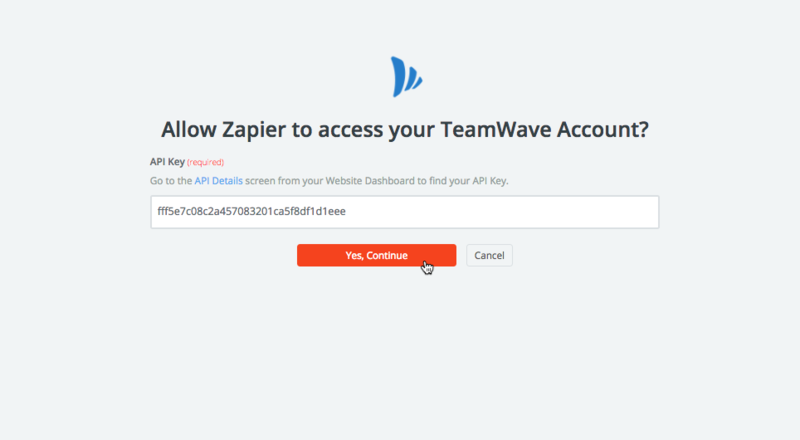 When you click to 'Send a test to TeamWave', the Zap will be performing the action on the TeamWave account you have connected. Once your Zap has been tested, you can switch it on. 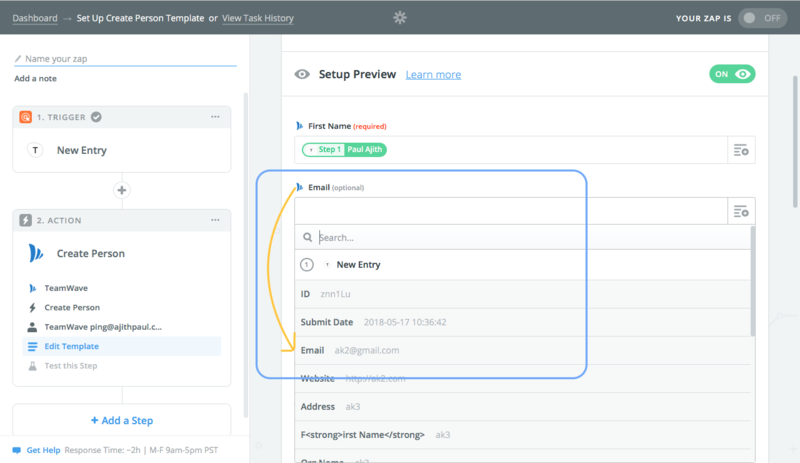 At this last step, you can give this Zap a name and also place it in a folder so that you can keep your Zaps easily identifiable and organised.